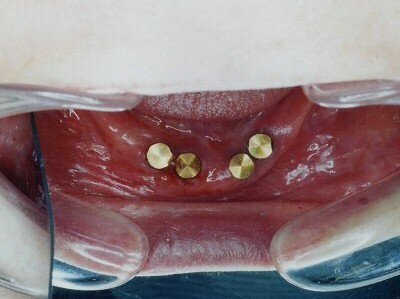 To construct an artificial tooth on the implant we used to wait 3 months (Lower),4-5 months( Upper) after operation. Nowadays only a one-month waiting period is enough because of the improvement of titanium surfaces. 6 implants were installed at the same time. 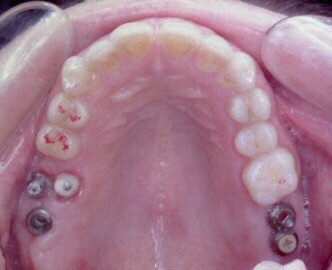 2 molars(back teeth) were missing on each side. 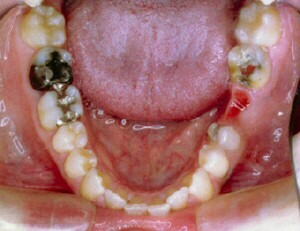 Total number of missing teeth was 4. 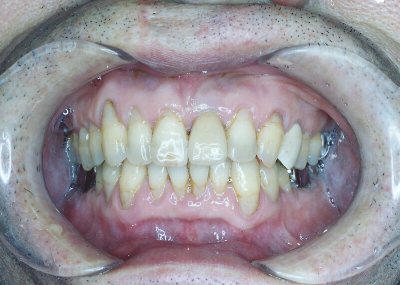 The patient usually has to wear a removable partial denture. 6 implants were installed in one operation. The implants were covered with healing caps. 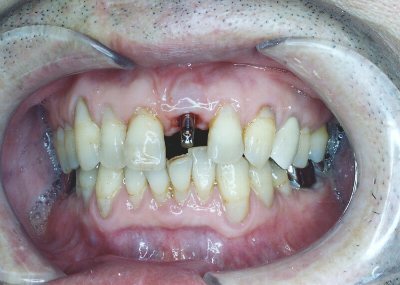 The implants were capped by all-ceramic crowns. 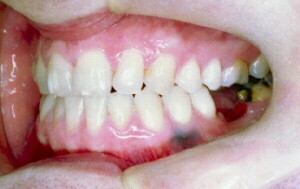 The tooth furthest back (the posterior most tooth) was covered with a ceramo-metal crown because it has less clearance. 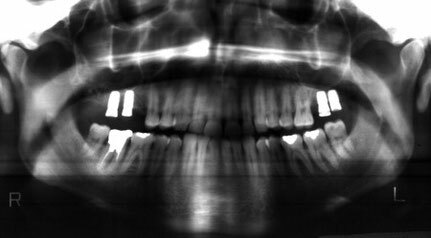 Panoramic X-ray shows 6 implant bodies. 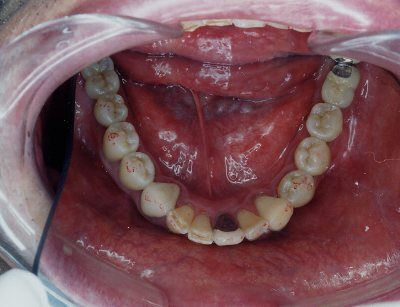 Upper front tooth extraction was a necessity because of a root fracture. If we wait for the implant operation after extraction, the bone will be absorbed. 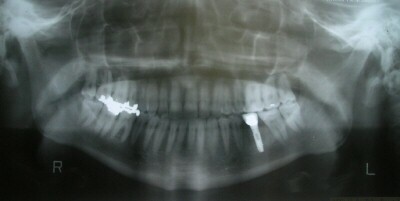 Therefore the implant operation was done at the same time as the extraction. 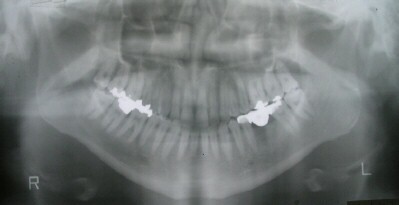 A titanium core was built on the implant body one month after the operation. 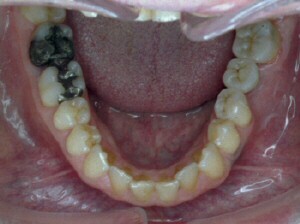 An all-ceramic crown was set on the core. 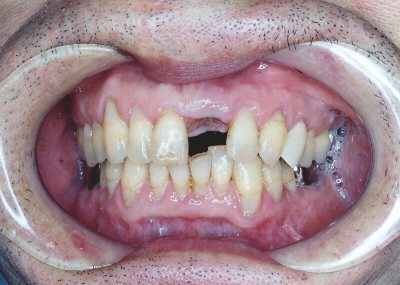 The postoperative gum remains in as good a condition as it was with the natural tooth. 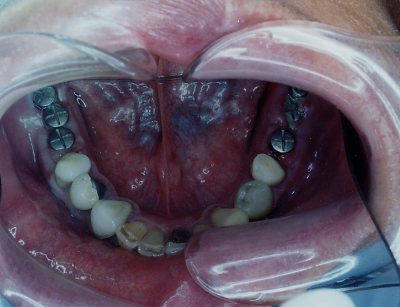 This case was presented at the 36th Annual Meeting of Japanese Oral Implant Society (Niigata) from Sep.15 to 17 2006. 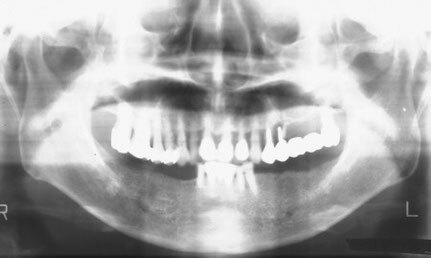 Use of Lateral Cephalogram in Edentulous Mandible"
X-ray shows 4 implants implanted into the front area of the lower jaw. The back area of the lower jaw was too thin to have implants installed. 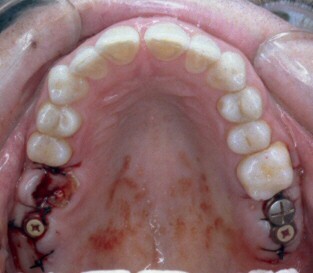 Many implants were installed to lower jaw (Mandible). Lower molars were missing. She had been wearing a removable denture. 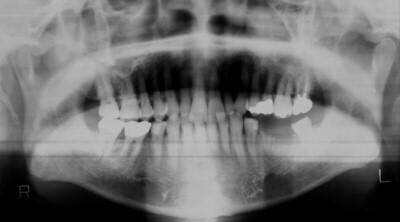 The X-ray film was traced, and it was decided that 12 implants would be installed in the lower jaw. 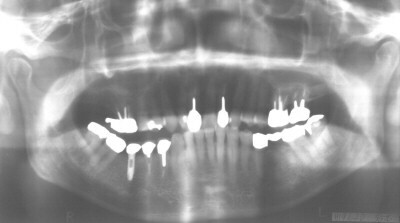 The implants were installed in two operations ( right and left sides), because of the large number of implants. 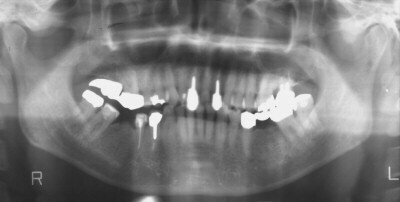 A Panorama X-ray shows the implants were placed according to the original plan. 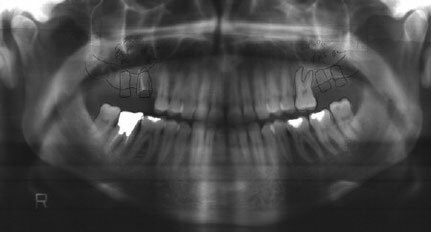 An implant was used instead of a bridge in my father's(Akira) case. 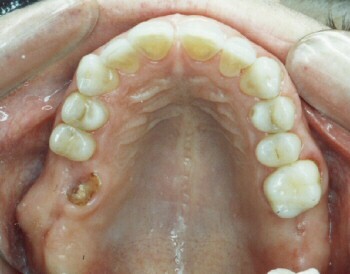 The right lower first molar was extracted at a young age. My grandfather（Masataro) was very busy treating other patients at that time, and he couldn't find time to treat his son. Akira's first molar was inclined mesially　(forward). He had been wearing a bridge for a long period. 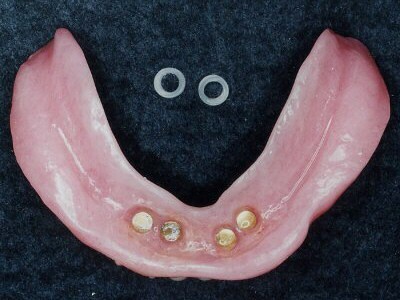 An implant was installed in March 2002 at the age of 77. 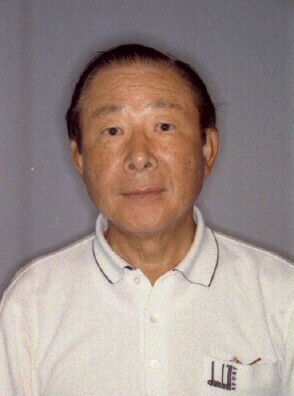 Dr.Yozo Iwamoto is my uncle and my father's younger brother. 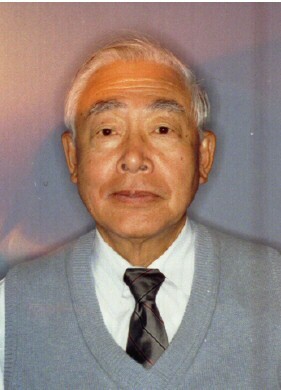 He is the chairman of Iwamoto Medical Clinic and the ex-president of Higashinari Medical Association. He also had been wearing a bridge for a long period. The bridge came off, because the biting force was too strong for the bridge. 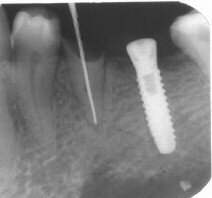 The implant is expected to survive long because the length of the implant is longer than the natural tooth. 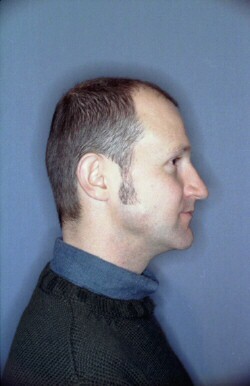 A 35 year old male patient, from the U.K. These pictures were taken in Feb. 2001. The lower left adhesive bridge was becoming loose and was prone to falling out . 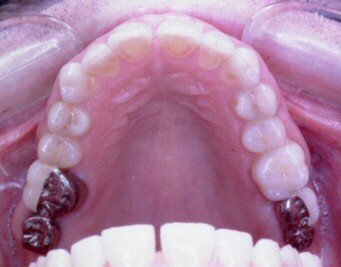 Trying to make the bridge more stable would require the grinding of neighboring teeth. 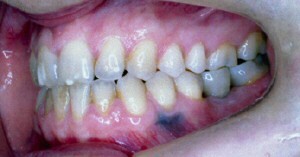 An implant was installed to avoid this. Moreover, the implant can endure a strong biting force. 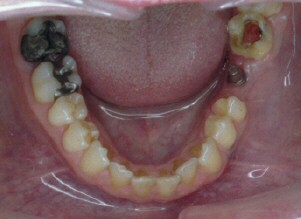 The patient after the implant treatment. We think we have brought an even nicer smile to his face. 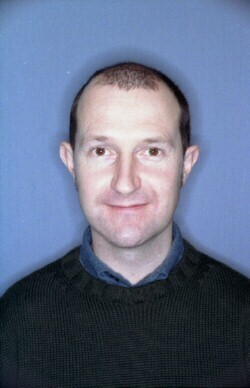 Mr.Matthew Caldwell (Matt) comes from Ireland. He is one of my good friends and we play futsal together. He gives a lot of advice regarding English. 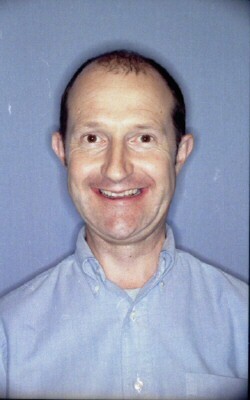 Because this photo was taken just before the implant operation, he looked a little bit nervous. 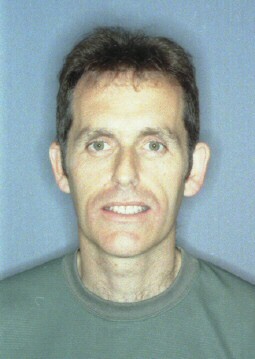 He had 4 implants installed in August 2006 at the age of 40. We have got his good smile after the implant treatment! 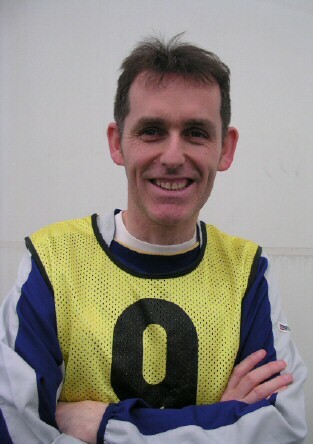 This photo was taken in March 2007 at a Futsal court. Two molars were totally missing and one molar had only one root. (A molar usually has 3 roots). 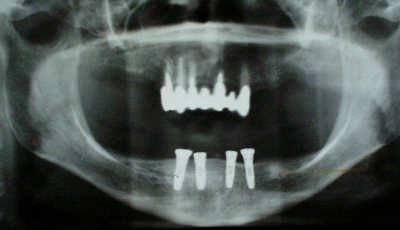 4 titanium implants were installed in August 2006. 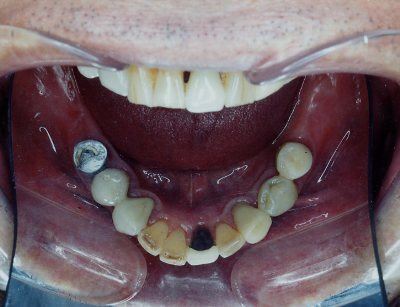 A waiting period of three months was observed before the abutments were placed on the implant. There was not enough bone between the Sinus cavity and the bone ridge in this case. 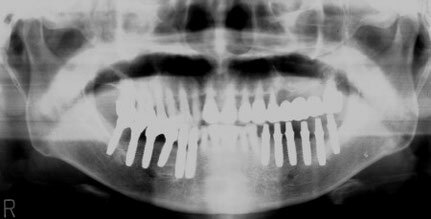 Rather than use a Sinus Lift and Sinus Elevation, short and thick implants were placed.